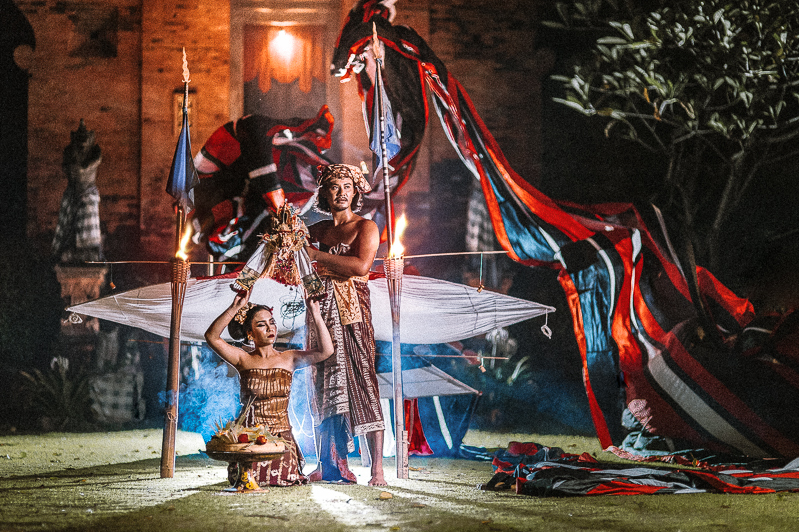 Janggan kite is a sacred traditional Balinese kite. Before and after the flight, this kite must be purified first. This traditional kite is a distinctive characteristic and remains a favorite among modern kites. In this prewedding we PIXELICIOUS Bali Photography took the concept of ritual kite Janggan, and why we take that concept because. Because it is still attached of the tradition of kite in Bali. Kite and also the tradition of Melayangan very closely related to the story of rare angon, it is belived that Lord Shiva and his manifestation as Rare angon is a God of Kites. In the season of kite or after harvest in Rare Angon rice field down to Earth accompanied by puffed during marked to call the wind.